Are you in the Cambridge area and want to buy or hire a Marquee? Looking for a Marquee to rent or buy in Cambridge? Where’s the best place to get a quality Marquee in the Cambridge area? A marquee is an ideal venue for a wedding. Flexible enough to accommodate small or big wedding parties, and with plenty of optional extras, you can create a wedding venue that suits all your needs. To hire out a high-quality, all weather marquee contact Weatherill Brothers on 01953 882 394. Quality Marquees are amazing things, and can be a fantastic place to hold a wedding reception, a party, fundraiser or any other function. They definitely give you that ‘Wow Factor’, so if you’re in Cambridge and Marquees are something you’d like to find out more about, give Weatherill Brothers a call. We are one of the UK’s longest standing and highest regarded Marquee manufacturers, having been in the Marquee business since the 1950’s. We make bespoke Marquees to your specifications, and we also hire out Marquees and other Marquee accessories, mainly in Cambridgeshire, Norfolk, and Suffolk. 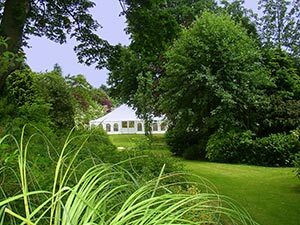 If you’re looking to hire a Marquee to put on your own land for your Wedding or a special party you’re having, we can help you with that. We do all the hard work, erecting the Marquee, taking it down afterwards, and we can even have staff on hand at the event if that’s what you want. This means you can relax and enjoy your evening without any worries. If you have a venue like a pub or hotel and would like to use a Marquee to increase your revenue, we can help you with that too. We will do all we can to ensure our Marquee becomes a successful part of your business. Call us today for Cambridge Marquee hire or purchase on 01953 882394.